A few weeks ago MetroPCS announced that it was getting a new brand name with updated phone plans. The new name, Metro By T-Mobile, and new plans officially went live yesterday. Along with those updates, T-Mobile announced that its Metro brand will begin to offer 5G wireless service starting in 2019. Metro By T-Mobile is the nations first prepaid wireless provider to commit to launching 5G wireless service in the upcoming year. MetroPCS got its name changed to Metro By T-Mobile to try and remove the perception that prepaid wireless service is sub-standard. The perception is unfortunately still alive and well as you can see from this SNL skit. Perhaps Cricket Wireless should become Cricket By AT&T? The announcement that 5G wireless service is coming to Metro By T-Mobile in 2019 helps signify that the brand is on equal footing with its postpaid parent T-Mobile. T-Mobile will of course also offer 5G wireless service in the coming months. 5G wireless technology has long been touted as being a game changer. 5G networks will offer extremely fast data speeds making them a suitable replacement for your home internet service. The networks will also offer lower latency and increased capacity, which are things that may impact the data prioritization policies that unlimited data plans are currently subjected to. Perhaps we'll even see the end of them which would certainly help T-Mobile achieve it's goal of blurring the lines between prepaid and postpaid cellular service. 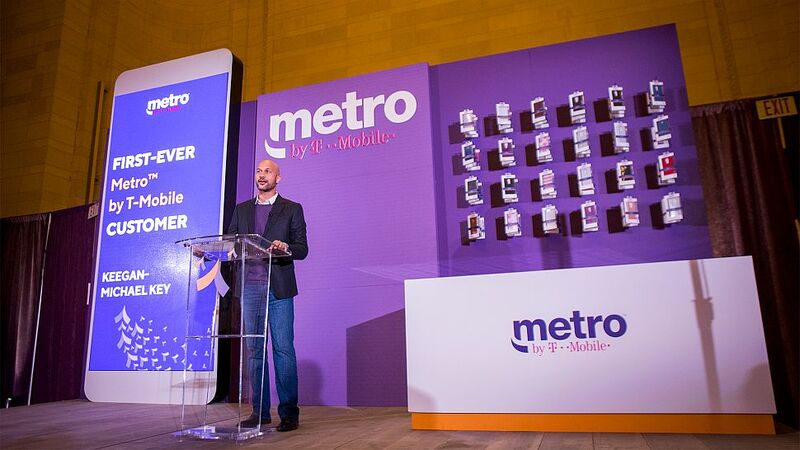 Metro By T-Mobile celebrated its name change and new plans by making actor and producer Keegan-Michael Key the company's first customer under the new brand name. Still many, many dead spots on the west side of Las Vegas and ZERO in buildings.